As a fellow Mexican I must say we love to ski. People ask me how come so many Mexicans ski, is it because we don’t have it in our country? I don’t have the exact answer but I can say we love going to different resorts to ski and spend some time with family and friends. 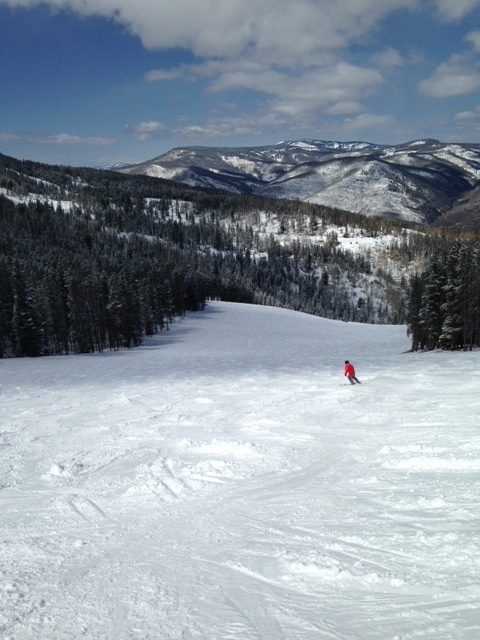 As spring break approached I was counting the days to go to Vail. I have been going to Vail since I was a kid so I am pretty familiar with it. We know the mountain and have our favorite slopes and we always frequent the same restaurants. This time we decided to dine in three of our favorite restaurants. Although there are many options in Vail not all of them are as good. We made reservations for Lancelot, Terra Bistro and Swiss Chalet. I would recommend all these restaurants when visiting Vail. Please check back for my next post about nightlife and shopping in Vail. Marilyn Albright	el 12 de mayo de 2015 a las 15:37 03Tue, 12 May 2015 15:37:13 +000013. Thanks for liking and following my blog. It was interesting about Mexicans liking to ski – I never thought about that before! I will enjoy checking out your posts, especially concerning Mexico since I spend half of my life there. Michelle on Bell	el 12 de mayo de 2015 a las 16:52 04Tue, 12 May 2015 16:52:21 +000021. Marilyn thanks for your comments! It’s interesting knowing the amount of Mexicans who love to ski 🙂 nice to here you spend a long time in Mexico hope you enjoy the country and feel free to comment on future posts!